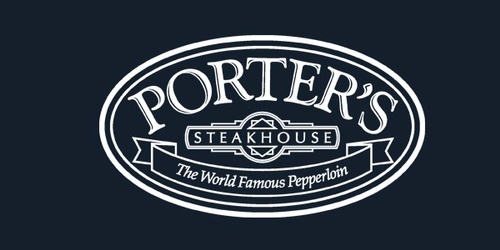 Spend an unforgettable Valentine's Day with your sweetheart at Porter's Steakhouse. With impeccable service, an award-winning wine list and a mouth-watering menu...your date is sure to leave impressed with your taste. View our special Valentine's Day menu here featuring Beef Wellington Napoleon, Broiled Escargot, Surf and Turn and, of course, our Signature Grilled Pepperloin. Make your reservation on Open Table today.